Dublin's minor hurlers came with a storming last quarter to defeat Wexford in Saturday's Leinster MHC semi-final at Innovate Wexford Park. 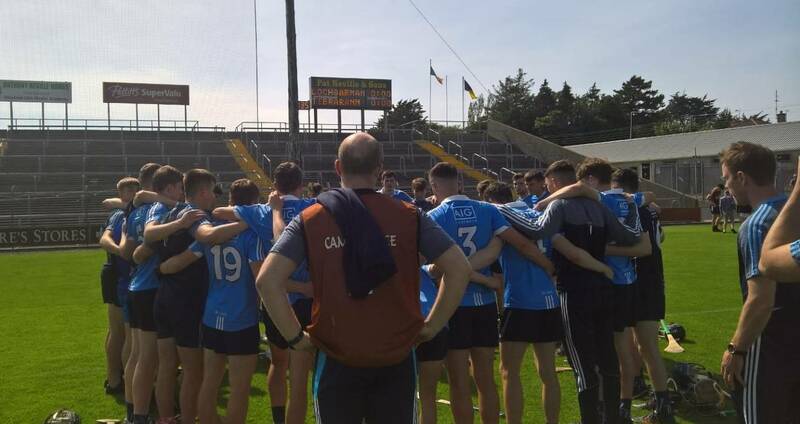 The Slaneysiders started the second half the better and having trailed 0-13 to 1-8 at the interval had moved into a 2-13 to 1-14 lead with 15 minutes remaining, despite the influential Luke Swan hitting a goal for the Dubs immediately on the restart. Thereafter Wexford got great impact from the second-half subs with Darragh Furlong hitting three points and Josh SheIl grabbing a goal to go two points clear. However, Dublin showed great mettle to take control with points from Liam Dunne (free) and Dara Purcell, his third of the afternoon, bringing the sides level entering the concluding ten minutes. Two Dunne frees and an excellent point from Alex O'Neill gave the Dubs a three-point cushion, 1-19 to 2-13, and they continued to keep the scoreboard ticking. Dunne added another free, after a foul on Luke Swan, and Purcell pointed to make it 1-21 to 2-13 before Dunne converted a '65' as the game moved into added time. The hosts got a late goal, a free from keeper Darragh Hayes, but it wasn't enough to stop Mike Connolly's men progressing to a Leinster MHC final meeting with Kilkenny, who defeated Offaly in their provincial semi-final. Dublin led 0-13 to 1-8 at the half-time break after Richie Lawlor had given the Slaneysiders a great fillip with a goal just before the interval. Wexford made a great start and were 0-4 to 0-0 ahead inside six minutes with freetaker AJ Redmond on the mark on three occasions. Donal Leavy opened Dublin's account in the sixth minute and a succession of points from Liam Dunne, three from frees and one from play, had the counties level at 0-5 each after 12 minutes. Leavy's second impressive point nosed Dublin in front and point from Dunne and a fine point from Pearce Christie put their side 08 to 0-5 clear by the 18th minute. Dublin looked to be closing out the half in dominant fashion with points from Dara Purcell, Conor Murray, Conor Foley, Purcell and Darragh Power to lead 0-13 to 0-8 with half-time approaching before the home side struck for goal. SCORERS - Dublin: L Dunne 0-11 (0-7f, 0-2 ’65’), D Purcell 0-4, L Swan 1-0, D Leavy 0-2, A O’Neill, D Power, C Murray, P Christie, C Foley 0-1 each. Wexford: AJ Redmond 0-7 (0-6f, 0-1 sideline), R Lawlor, J Sheil, D Hayes (0-1f) 1-0 each, D Furlong 0-3, T Murphy, O Whitty, Z Firman 0-1 each. 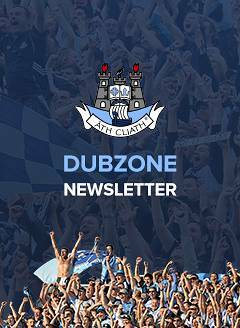 DUBLIN: J Lambert; F Murphy, E Carney, K Byrne; C Hogan, A O’Neill, I O’hEithir; D Leavy, D Power; C Murray, P Christie, C Foley; L Dunne, L Swan, D Purcell. Subs: S Fenton for Murray (42), A O’Toole for Christie (53). WEXFORD: D Hayes; F Roche, R Scallan, N Rowesome; C Brown, D Codd, E Doyle; C Molloy, J Kirwan; O Whitty, T Murphy, R Lawlor; AJ Redmond, Z Firman, D Cantwell. Subs: D Furlong for O Whitty (ht), J Kehoe for Kirwan (ht), J Sheil for Cantwell (43), P O’Connor for Brown (48), P Whitty for Furlong (58).